The Bristol Beaufort origination from a 1935 request by the RAF for a twin-engine light reconnaissance and torpedo-bombing aircraft. Two competing designs, the Beaufort and the Blackburn Botha, were both ordered into production before a prototype had been completed, but the Botha was clearly inferior and did not last long in service. Soon after the design process began, the RAF revised the specification to add provision for a fourth crewman. 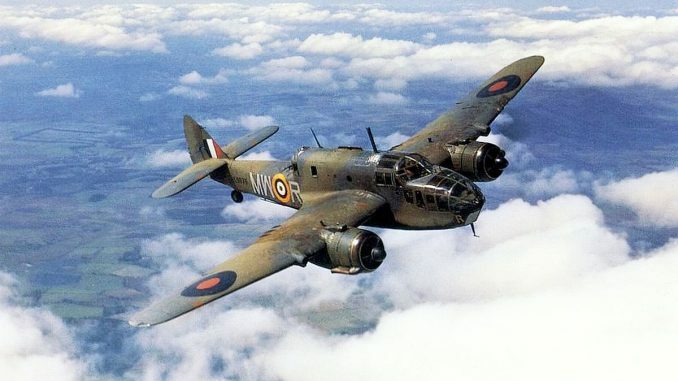 Bristol drew on their experience designing the Blenheim for the new aircraft. 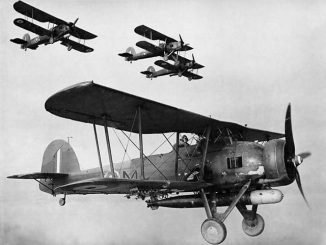 Several of the less desirable design features of the older bomber were dispensed with, which made the structure of the Beaufort much lighter. 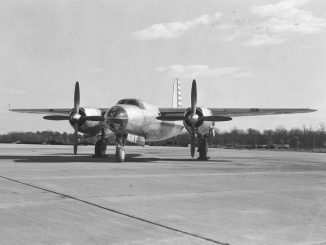 The aircraft also received more powerful Bristol Taurus engines, but despite these it remained underpowered and could not remain airborne on a single engine. As a result the Beaufort could carry twice the bomb load of the Blenheim, at a faster cruise speed ad over a longer range. The aircraft also served as the basis for the faster and much more successful Beaufighter. Beauforts saw most service with Coastal Command in the waters around Britain, and with the Allied air forces in the Mediterranean. In particular the bomber was assigned to “Rover” missions, where small independent flights of aircraft were tasked with seeking out and sinking German shipping. On other occasions Beauforts attacked German warships, including separate attacks on the Gneisenau at Brest shipyard and again when the ship joined her sister Scharnhorst and the cruiser Prinz Eugen during the famous ‘Channel Dash’ in 1942. 700 Beauforts were built in Australia by the Department of Aircraft Production. These were supplied to RAAF squadrons in the Southwest Pacific, where they were commonly used as light bombers and occasional torpedo craft. Australian Beauforts were first introduced into combat in June 1942 and served throughout the war as the Allies advanced across New Guinea and into Borneo. 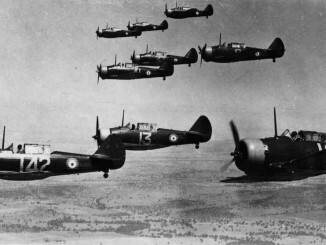 A handful of Beauforts were also used by the South African Air Force during the campaign to occupy Madagascar. There the bombers were used for reconnaissance, anti-submarine missions, and also for occasional attacks on Vichy French airfields until the island was completely captured in late 1942.